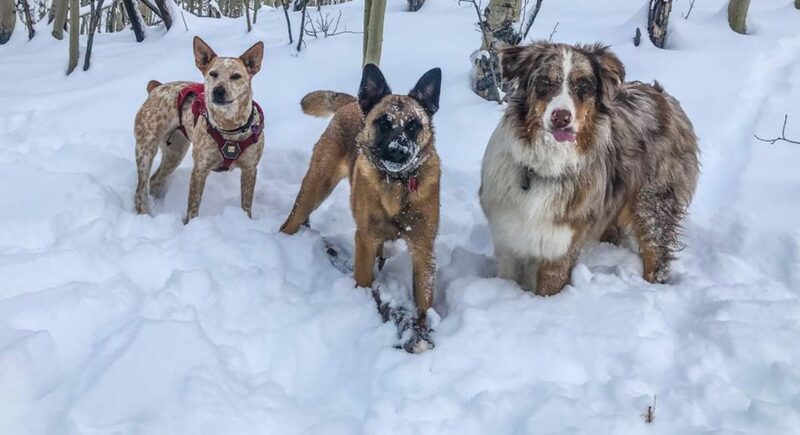 Mountain Pals and the state of Colorado requires a renewed Mountain Pals Intake and Libility waiver every 6 months and a renewed copy of your pets vaccines for all dogs under our care. Vaccines required DHLPP (yes we require Lepto), Rabies and Bordetella. Please note: The Bordetella is not a guarantee that your dog can not get kennel cough but it’s the best science can offer at this time. It is very common for your dog to be exposed to it at any point when they are around other dogs. Just like kids and the flu at school. 🙂 The flu vaccine isn’t 100% either alas. Forms need to be completed before the first scheduled day of care. Forms can be scanned and emailed to info@mountainpals.com or printed and received on the first day of animal care. We do appreciate digital copies if at all possible. We greatly appreciate you taking the time to do this. Please call 303.507.2001 or text (text works best in these darn mountains) if you have any questions.